Do People Really Change? By Vinod Sudhindra Last few weeks, I have been very irritated with people around me who needs to change but are not changing, this irritation turned to frustration and eventually to the elusive question "Do People Really Change?". This led me to interesting conversations with many people and most of them believing that People don't really change. In one such conversation, the person posed the question back to me asking "Have you changed?". This hit me very hard and I had to be true to this person (& myself). I took a while to reflect back on my life and the truth was that in many ways I have not changed too, I have been same whether they be aspects that are good or not so good. Upon reflecting a bit more, what was also true was that I have grown in my life, grown in the way I look at things, grown in the way I deal with people, grown to accept a few aspects about me and others, grown and made peace with my past. So I wondered what made me grow? Was it an external event or a person or something truly intrinsic... the answer for me was, all of these. Growth or in other word Transformation happens when we go through some transition in life. For ex, Marriage, Becoming a Parent, Death of a closed one, Career change, Change of City, Divorce, Retirement are all events that lead to transformation, the way in which our lives alter permanently. For me Marriage altered the way I used to function from just thinking about 'me' to thinking about 'us' in every aspect of my life. My son's birth altered the carefree person that I was to a responsible (& sometimes paranoid) father. My Mother's death altered the dependent part of me to step up and learn to be independent. I never really thought that these events have had so much impact on me, these events have shaped my life and has contributed to my growth. These transitions have led to my transformation. I also realised that some people in our lives contribute to our growth as well, I have been fortunate to have many such people in my life like my group of friends, my spouse, my son, my mentors, my business partners, my colleagues and bosses that I have worked with have all contributed to my growth by either being who they are or through some soulful conversations or sometimes just their presence creates a space in which I feel very alive and optimistic. There have also been times where the growth has been intrinsic, these are times when I was truly connected with myself and the higher power which has helped me create things in my life which once appeared impossible. This connection with myself has helped me to connect with people in a way that has taken our relationship to next level. In all of these, one thing was common for me which is my willingness to grow. I had chosen to grow in these areas. So the conclusion that I have about this is that people don't really change but they do grow if they really want to. The Power of Three while communicating ! By Vinod Sudhindra Three is a powerful number in the field of communication! History has shown us how this was used effectively – The US Declaration of Independence mentions three inalienable rights – Life, Liberty and the Pursuit of Happiness and the French adopted the motto of ‘Liberty, Equality and Fraternity’! Over the years, leaders too have used this very effectively. Julius Caesar said, ‘Vini, Vidi, Vici ‘ ( I came, I saw, I conquered). Martin Luther King Jr., the civil rights activist and preacher used the power of three in many of his influential speeches. In one of his speeches he talks about "insult, injustice and exploitation," and "justice, good will and brotherhood." One device he described using three names! Later, he also introduced the iPad2 as ‘thinner, lighter and faster’. And there are innumerable other examples of the ‘Power of Three’ – Three Musketeers, Goldilocks and the 3 bears, The Holy Trinity, The Trimurti in Indian Mythology, Three Wise Men, Three Blind Mice, A, B, C, 1,2,3, and many more.. 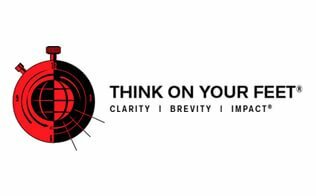 Effective communicators understand one fundamental rule of creating impact – complex ideas must be communicated simply. And the power of three is one of the simplest ways of achieving this! Whether it is face to face, telephonic or online communication, the human brain is wired to easily understand and retain 3 things, add the fourth and it is highly likely that the brain will get confused! So go forth and communicate Clearly, Concisely and Persuasively using the Power of Three! I. Why FUN? Does a FUN session bring to mind the picture of a group of learners laughing so hard they can hardly remain seated in their chairs? Not a bad idea, considering we could all do with some laughs, but that is not exactly what we have in mind. We are thinking of FUN as a much more serious concept, one where we hope to bring back into the training session the sense of wonder, exploration, and discovery which we somehow lost progressively as we left childhood. When we think of the traditional classroom or training session, what comes to mind is the yawning gap between the deep engrossment of a child in the midst of a discovery and the ‘when will this end’ expressions of adult learners forced into the room by corporate training plans and held imprisoned by learning strategies wholly out of place for adults. Performance: Training should result in performance. Towards this end it should motivate and support transfer of learning to the workplace. For performance to happen, we need to focus on attention, comprehension, and retention. Attention: Training should hold the attention of its audience. Comprehension: Training should enable learners to comprehend what is being taught. EPnsuring retention: Training should ensure that learning is retained for application. Traditional learning falters in gaining learners’ attention, and in ensuring their comprehension and retention. Hence it fails to deliver on its goal -- performance -- thus calling to question its effectiveness. We thought long and hard about what can be done about the corporate training situation which has long ignored the writing on the wall that said “just because we have said it, it doesn’t mean they have got it.” And FUN is what we came up with. II. What is FUN? Put simply, FUN refers to those activities through which learners comprehend existing knowledge or create new knowledge through active experiences and interactions with fellow learners and the facilitator. In FUN learning, we create situations that people intrinsically enjoy. We enjoy sharing experiences; we enjoy puzzles, jokes, and stories; and there is still so much of the child in us that all of us cherish the challenge and competition of a game. There is much that we learn from these, though not in a deliberate, conscious way. III. FUN and 5I’s FUN is a catalyst and an enabler for learning. It is a vehicle to deliver content. FUN training is based on 5 principles called as 5 I’s since all of them start with the letter ‘I’. The various concepts and techniques in FUN draw their significance from one or the other of these 5 I’s. Introduction : This is that critical stage where first impressions make a difference. We appreciate a warm welcome at any place we go to and the training room is no different. This is the stage where learners and the trainer, till then possibly a disparate group, come together and begin to form a bond and a rapport. Involvement : Learners come in as a preoccupied group, still carrying the worries of the outside world into the training room. Involvement serves the purpose of addressing their preoccupation and getting them ‘ready’ to accept content. Interaction : The degree of learning that can happen in an environment where the experiences of many are pooled is greater than what can happen when the trainer ‘tells’. Adult learners learn from sharing and processing experiences. This creates in them an ownership for the learning. Instruction : We know that there is much of content to be covered in a training session, and given that there is only so much of time available to do that, the tendency is to break into a continuous lecture. In FUN training, we look at alternative ways of imparting skill and knowledge, which takes into account the need for moderate content, the adult attention span, and the possibilities in learner driven methods. Intensifying Retention : While the trainer cannot ensure transfer of learning to the workplace, he or she can certainly ensure top of the mind recall of what has been learned during the session so that citing “I don’t remember what was being talked about in the session,” is not what is standing in the way of application of learning. Von Restroff has said that a different processing of an item ensures it a firmer place in memory. So we use various activities to ensure that learners repeatedly register content which might otherwise have been lost because of lack of attention paid to it. Learner experience: Tap into the prior experiences of learners as a rich resource to enable new learning. 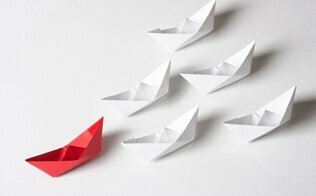 Learner diversity: Take into consideration the differences in learning styles and preferences. Learner readiness: Establish a conducive learning climate for learners to receive content. Moderate content: Remember that the lack of time to cover the syllabus does not justify the dumping of content on the learners. Dumping content on learners may lead to their dumping the content. Subject matter differences: Use training techniques appropriate to the content. Knowledge-skill balance: For real world applications, balance knowledge inputs with opportunities for skills practice. Attention span: Adult learners find it difficult to concentrate for more than 20 minutes. So, chunk content into 20 minute bits. Group and cultural norms: Adapt techniques and tools to suit the audience to avoid resistance. Variety: Spice up your learning sessions and eliminate boredom by using a variety of training techniques and learning tools. Small group learning: Create threat-free learning environment where participation is encouraged. Frequent reviews: If you make your adult learners review learning many times they might not appreciate it, particularly when it is done in a mundane and routine way. Use a variety of competitive games, and other FUN tools for the purpose of review without necessarily referring to them as ‘review’. Go ahead, let the Magic of FUN transform your training!! Why should training programs be FUN Is the use of FUN something that trainers, facilitators or learning specialists can avoid without affecting learning results? Research shows us that it is highly unlikely for great learning results when the delivery is devoid of FUN. In my 30 over years of experience in delivering sessions and attending training, I have found the use of FUN to be a very powerful tool to gain learner attention, promote participation and accelerate retention. The resistance towards the use of FUN tools may largely be attributed towards the stereotyped perceptions of FUN. Many years ago, the late Dr. Surjit Singh, a Malaysian trainer, differentiated the use of FUN and being funny in a jovial manner. Rather than share the lengthy research background, suffice to say for now, we can certainly say the use of FUN is a purpose driven activity; being funny is largely trivial without a purpose, when taken in the context of learning. How many times have we heard participants murmuring that while the trainer is a content expert and is very knowledgeable, the sessions are very hard to pay attention to? We have also heard learners grumbling about all funny activities and jokes without any relevance to content. Professor Thiagi, Workshops by Thiagi says games when used with a clear objective accelerate learning. Ed Scannel, the co‐author of Games Trainers Play series says games improve learner attention. Bob Pike from Creative Training Techniquessays the use of learner centred tools accelerates learner participation. The legendary Don Kirkpatrick, the author of the famous Four Level evaluationframework gains the attention of every single participant, even when the audience is well over 2000 despite using the obsolete overhead projector. The careful use of humour and stories makes sessions FUN. Participants get the content in a much shorter time and remember it as well. Yet, the use of FUN tools in training has not yet become part of the trainer, facilitator or learning specialist’s tool kit. Many of those in the profession of helping people learn see FUN as a nice to have element. It is not seen as a must have component. Very few corporate trainers are evaluated on the use of FUN in training. Yet, without FUN and humour, training sessions are at best telling sessions. To overcome some of the prejudices surrounding FUN, let us address some of the myths: 1. Myth One: Adding FUN compromises the content FUN is a vehicle to deliver content. The careful use – not the misuse or abuse – of FUN transports content much more effectively. 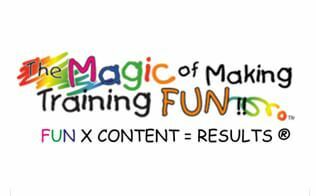 The formula FUN x Content = Results® is a powerful one. Synonymous to an algebraic equation, the absence of either one results in failed learning. The balance between the two will largely depend on the audience. Adding FUN accelerates the delivery of content to the intended recipient much faster and more effectively, 2. Myth Two: Adding FUN devalues the training process A successful training session largely depends on the process rather than the content. The founder of Toastmasters International, Dr Ralph Smedley said “peoplelearn most in moments of enjoyment,” There could be no disagreements with that statement. Yet, many trainers have problems with the use of FUN. Great learning is always the result of involvement with the content. That comes with great interest fuelled by intense like and enjoyment. Learners today are used to being presented content in a variety of ways and formats. The addition of FUNintroduces the content and involves the learner; it engages them in the learning. 3. Myth Three: Adding FUN makes me an entertainer not a trainer There are many who say ‐ I am a trainer not a comedian. My role is to teach or train not tell jokes. Yet, on a daily basis, most of us add humour into our daily interactions with people. You do not have to be a comedian to add FUN. Telling jokes alone is not FUN. Explore your style of FUN, look at your learners and be what you are. This way, you can build your self confidence. Creating aninteractive atmosphere for learning is the key. It is this atmosphere that makes sessions interactive and instructional. The quickest way to create a FUN atmosphere is to show your learners you don’t take yourself seriously but you take the role of delivering the content to them very seriously. 4. Myth Four: Adding FUN takes away time from content delivery The use of FUN takes time but just consider the alternative scenario. You deliver the prescribed content within the time but no one gets it. You have passengers not learners. Adding FUN enables the content to be delivered to the learners using a variety of tools. This helps address different learning styles. Formative assessments can be done without intimidating the learners. Crosswords, learning tournaments and Bingos are some tools that help intensify learner retention. 5. Myth Five: Adding FUN does not result in learning Mel Silberman, the author of Active Training says learners think much faster than the speed with which the trainer speaks. The need to engage the learners and grab their attention for improved learning results becomes critical. With attention spans decreasing from the much touted twenty minutes to probably less than five minutes with the Gen Y learners today, we have to do all that is necessary to gain attention for learning to take place. In this way, use of FUN tools helps you to accelerate learning results.